When a group of inspired and dedicated people come together to support a common goal, remarkable change can take place. 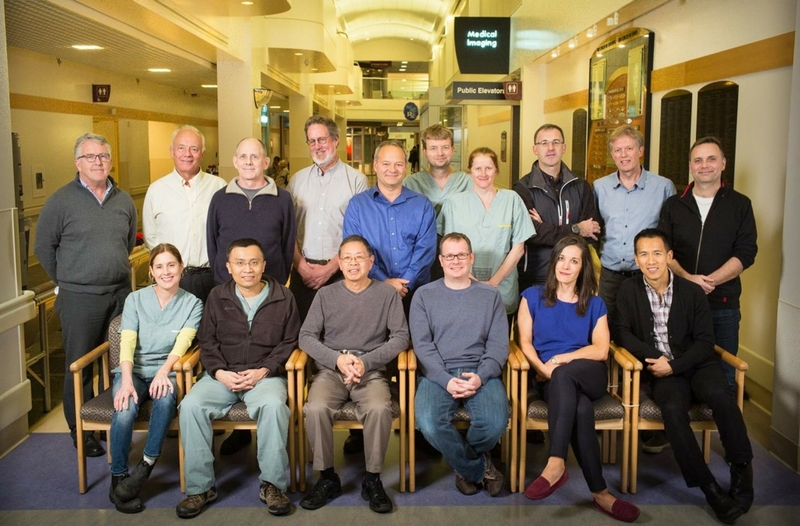 The members of the Victoria Radiology Consulting group exemplify the spirit of working together to improve healthcare in our community and we want to celebrate their contribution! As part of the Building Care Together campaign to equip the Patient Care Centre, the group made a $100,000 pledge in 2010 to purchase leading-edge equipment. The pledge is now fulfilled and their generosity funded the purchase of five leading-edge bladder scanners for the Patient Care Centre. The group also made a $97,000 gift to the 2004 Together We Care campaign. Radiologists specialize in diagnosis and treatment of patients through the use of medical imaging technology, such as MRI and CT scans. Their work includes diagnosis of injury and illness in virtually all parts of the body, as well as imaging based interventional procedures. As doctors, the Radiologists already devote their lives to helping others, but they decided they wanted to do even more. We are so grateful for their contributions! Thank you to the following individuals: Dr. John A. Andrew, Dr. Derek D. Chu, Dr. Douglas Connell, Dr. Moira Cooper, Dr. Richard J. Eddy, Dr. Kevin E. Forkheim, Dr. Brian W. Goodacre, Dr. Shane Greek, Dr. G. Walter Hodgins, Dr. Michael Huk, Dr. Christopher R. King, Dr. Robert A. Koopmans, Dr. D’Arcy D. Lawrence, Dr. Brent Lee, Dr. John R. Mathieson, Dr. Delmer B. Pengelly, Dr. Nicola Proctor, Dr. Stuart F. Silver, Dr. Frederick J. Smith, Dr. Paul Sobkin, Dr. Vanessa Van Raalte, Dr. Melina D. Warren, Dr. Ian Weir, Dr. George H. Yakemchuk.